Is Amazon good for the online market? Is Amazon Good for the Online Marketplace? 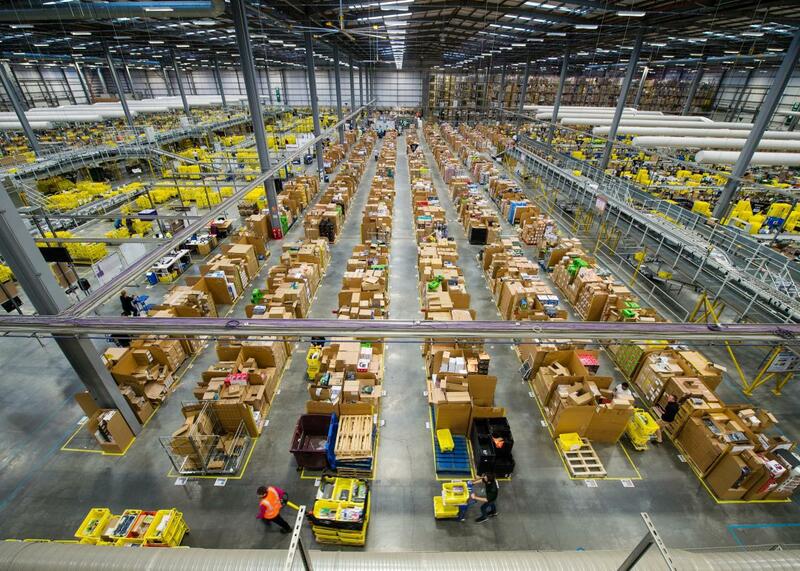 An Amazon fulfilment center in England in 2015. Amazon isn’t the price king. It’s the trust king. And that trust was earned. When everyone else was inflating shipping charges to give the illusion of lower prices, Amazon was charging actual shipping costs and passing its negotiated rates along to the customer instead of pocketing the difference. When everyone else was charging restocking fees or making customers jump through hoops to return unwanted items, Amazon made it easy to return items through automated processes. When everyone else was bombarding customers with emails after the sale, enrolling them into subscriptions they didn’t want and selling items they didn’t even have in stock through drop shippers, Amazon took control of the customer experience and made it better. When everyone else was deleting negative reviews, Amazon left them up so customers could base their purchase decision on real feedback instead of sales copy. Amazon is No. 1 because consumers choose them consistently. It has nothing to do with price or market size. The products on Amazon are often available elsewhere for less, and it’s just as easy to type in a different URL when you want to buy something. As for their size, consider that total e-commerce sales are $1.5 trillion annually. Amazon makes about $100 billion. That means their share of all e-commerce revenue is only 6.6 percent. They’re far from a monopoly. Anyone can compete with Amazon. Heck, we compete with Amazon and still manage to bring in millions of dollars per year with our own sites. But I will tell you this much: Amazon definitely caused us to rethink some of our policies and adopt a more consumer-focused approach than our industry had in years past. The kicker is that in the end, those changes benefited us. Amazon raised the bar on how an e-commerce site should operate and on what consumers should expect, and frankly I think it’s been a good thing. They created a standard where there wasn’t one. Their success is earned and deserved. Startup Advice and Strategy: Should I continue a startup which I don’t see much hope for? Business Models: What online side gigs have given you recurring revenue? Startup Advice and Strategy: Why do people keep saying they’ve created the new Facebook?